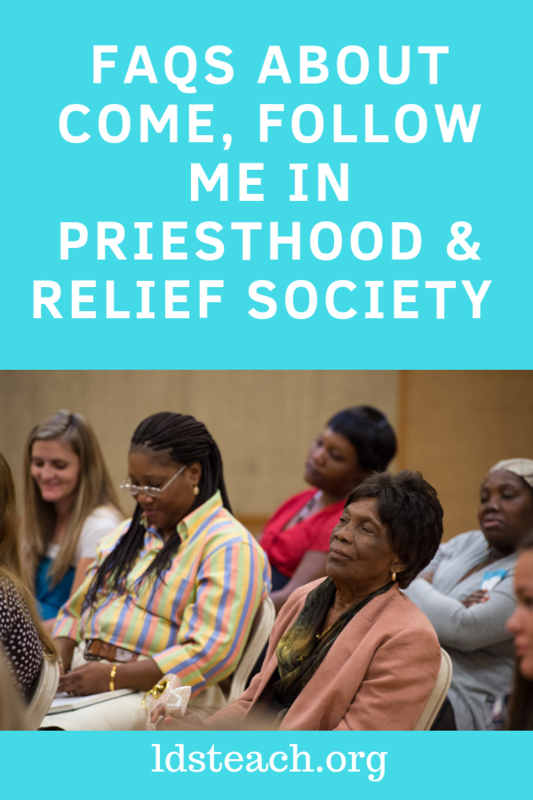 If you’ve got questions about how to make the Come, Follow Me curriculum for Priesthood and Relief Society effective and useful, you’re not alone. First, before the questions, let’s go over some basic principles about how the lessons are designed to be done. We need to know what they’re supposed to look like before we delve into questions about that design. Follow up from impressions/invitations issued in previous meetings (This is led by a member of the presidency, not that week’s teacher.). Plan to act individually or as a group. This is also led by the presidency. It’s vitally important that the presidencies understand and help the members understand the rationale behind the new program. Otherwise, every week will be like the 4th Sunday lessons were in the old program. Lessons get samey, the same comments get made over and over, the same people are commenting over and over…it’s not pretty. The overarching idea is that this is more than a class: it’s a working meeting. We have a goal. Class members must know what the lesson topic is prior to the lesson. More on this later. Have the conference talk available. While many members have them on devices, not everyone does. Plan to have them available, ideally the week before, as well as day of. Have pens and highlighters so people can take notes or mark things that strike them. I think teachers need a refresher on how this new Come Follow Me program is different and why we are doing it a new way. Some of our teachers are just summarizing the Conference talks, and they are talking too much instead of asking good discussion questions. Well, this is the crux of the issue, isn’t it? We’re comfortable with the familiar, and it’s hard to change. During Teacher Council meeting, it is useful and acceptable to meet as a segment of the teachers. Consider having the EQ and RS teachers and leaders meet sometimes during Teacher Council to discuss the needs of these classes specifically. Make sure the teachers are attending and convey your needs to the ward’s SS president so that the TCMs are actually useful. The dynamic described here – just summarizing a talk and talking too much – happens when teachers don’t have the skills to lead the class as a discussion. They need the expectation conveyed clearly, and they need ideas for alternatives. More on that a little later. We need more techniques for thought provoking questions and involvement like partner sharing and scripture sharing. There is an entire handout on this site with great question stems and another on techniques. There are also other resources there to help, but the first place I would direct people is Teaching in the Savior’s Way. This manual has literally dozens of ideas for different teaching methods, and I have yet to see most of them used in RS or EQ classes. Let’s start there. That is done in Teacher Council Meetings (TCMs). Discuss and practice techniques there so that it’s comfortable when you actually teach. We’re underusing this manual, and we’re underusing the techniques it shares. Have the group divide into three sections, each with a separate one of the sections to read. Have them read it, discuss it, and then share out with the entire class what the overarching message of that section was. Yes, some people don’t like this. They prefer the sit-and-get style where they do nothing and have everyone else carry the burden of the meeting. I’m not saying do this every lesson, but the more it’s done, the more comfortable people will get understanding they, too, play an essential part. Sing a hymn about meekness in the middle of the meeting. Our hymnal has hymns organized by topic, so this is useful. Look at the etymology and multiple meanings of meekness. Before any techniques are chosen, the teacher must prayerfully consider this: what should happen in the lives of the class members because they were in the class that day. If that isn’t answered, no cool technique will matter. Once decided, that will guide the choice of techniques. 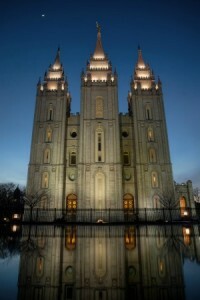 So to summarize: my ideas are: make sure there’s a big idea for what will happen in the life of the learner and use the resources we have in Teaching in the Savior’s Way and on LDSteach.org. Somewhat like the Book of Mormon, we often want more before we fully use what we have. We have teachers who overshare and discourage others to participate. 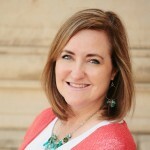 There is a post on how to handle members who overshare on LDSteach.org, so I would refer you there if you’re having that problem. I also recorded a video on Handling the 5 Most Common Problems in Class, so you can watch that. If this is happening, it may be because the teacher doesn’t truly understand the new program. Many people struggle to move from one style of teaching to another, and habits sometimes die hard. Consider what you can do to help the teacher understand, and how you can check for that understanding. Perhaps set a particular goal of word count. This may sound a little strict, but it will work for some. Ask teachers to aim for an 80/20 balance, with 80% of the discussion being the class members and 20% the teachers. Perhaps you will need to use different percentages, but you get the idea. Some teachers fall into the same pattern as class members: if no one is saying anything, they fill the space. How can we as leaders encourage people to participate so that the teacher isn’t left dangling? One thing is to make sure teachers are asking good questions. See the question stems handout for ideas. Sometimes the teacher is nervous, and then covers that nervousness with talking. If this is the case, there are some strategies for combatting nerves that can help (breathing, self-talk, and others). It may help to be clear about the expectation. Sometimes the teachers aren’t getting feedback, so they don’t know that the way they’re doing it isn’t really aligned with the new method. Making sure the Teacher Council Meeting is helpful will go a long way. Don’t depend upon the Sunday School President to always provide a strong meeting. Discuss what your needs are and have that be a topic. This is a point of discussion in ward council. Teachers should be attending TCM in order to participate in those discussions. It sounds counterintuitive, but too much talking is a sign of under preparation, not over. It’s easier to have a bunch of stuff you’re reading or a bunch of personal experiences you’re sharing than to prayerfully consider what is most important to the class and pray for guidance in the development of quality experiences. If the teacher isn’t using a variety of methods for teaching, this is more likely to happen, so make sure the teacher is familiar with the methods available. The main idea is that there should be a feedback learning loop. The teacher understands the new method. The teacher practices the new method. The teacher is given loving and kind but true feedback. The teacher refines the process and implements new ideas. The cycle continues. Teaching is called a “practice,” and it is. How do I begin a discussion? Do I give an overview of the conference talk and then begin asking questions? Do I break the talk down into parts and do a little overview of each section before asking questions on that section? First, there must be a culture of preparation (see the article on that). You should be able to assume people read it. If you summarize the talk, you send the message that the class members needn’t prepare or read because you will do that for them. It actually discourages preparation. Remember, you’re not teaching a class: you’re leading a discussion. When you have a discussion with a friend, you don’t spend the first ten minutes giving them a lecture. You jump into it. There is no one right way, because this, too, should be varied. How do I end the discussion? Do I summarize the points brought out in the discussion? Summary is essential, and keep in mind that the lesson has a point. What’s supposed to happen in the lives of the learners because of this meeting on this day? What are they supposed to believe, think, feel, or do? There should be an action piece. Sometimes this can be identified by the individual or group, sometimes by the teacher, or sometimes by the presidency. Let’s say there was a message on becoming more Christ-like. You’ve discussed the talk using a variety of methods. There are ten minutes left in the meeting, so five minutes left in the discussion. Stop the discussion. Yes, you read that right. These discussions are not lengthy. They’re targeted, point-driven, and focus on actions we can take in our lives. Use two minutes or less to summarize the main points. You can do this on the board having people give you ideas in bullet points, you can have the secretary or other member report out, or you can have a presidency member do it. You’re done now. The teacher need not say, “I say these things …” because you did not give a talk or a prayer. Now we have three possibilities for the invitation to action. Remember, this is led by a member of the presidency and MUST be discussed with them ahead of the lesson. You’ve felt inspired through your preparation that prayer or some other thing is the best takeaway. You ask the presidency member to invite the people to pray every day specifically for the ability to know what one thing they need to add or take away from their life in order to become more Christlike. The presidency member will ask members if they can come up with three ideas people could choose from to work toward a more Christlike week. That’s the end. Right there. A quick summary and a clear call to action aligned with the desired effect in people’s lives. Can you give us set up ideas for better discussion? This will depend upon a few factors. Keep in mind that the circle is not mandatory. We have to make sure that in trying to be inclusive, we don’t accidentally block people’s view. Also, a number of sisters feel uncomfortable sitting in the “front” because they’re wearing skirts or dresses, and a circle makes the entire thing the front. What you may wish to do is try several setups and see what works best. Often, the best is a flattened U-shape, meaning that there are corners, rather than a rounded bottom. You could consider have two of those, one smaller and one larger. You can also set up as you normally do, if that’s working. You can survey the sisters to see if there are preferences, as well. You also have to keep in mind the size of not only your ward’s group, but also all of the other groups in the building. The presidencies should discuss it and decided upon a setup that works for all of the wards. There is simply not time to reconfigure for each meeting. Can you help us with ideas for sharing and implementing the challenge throughout the week of the lesson taught? Sure! We live in a world full of information, and it can be so hard to communicate because everyone has different preferences for how they wish to receive information. Print the challenge or action up before the meeting and pass it out. Use Remind (see the YouTube video I made on this) to use texting to send reminders. Encourage sisters to add the challenges to their journals or just keep a small notebook with them in them. In addition to this article, I created a video on 11 Tips for Priesthood & Relief Society Teachers that you might find useful. It covers several of the ideas in this article, along with additional insights. Please remember that we’re here to help. Reach out if you have more questions.